What to do with the house, and all those brand new things that come to live with you at Christmas time! Make storage part of the celebrations and think a little outside the box for decorating with our amazing ideas for decor gifts. Don’t want a traditional tree this year? 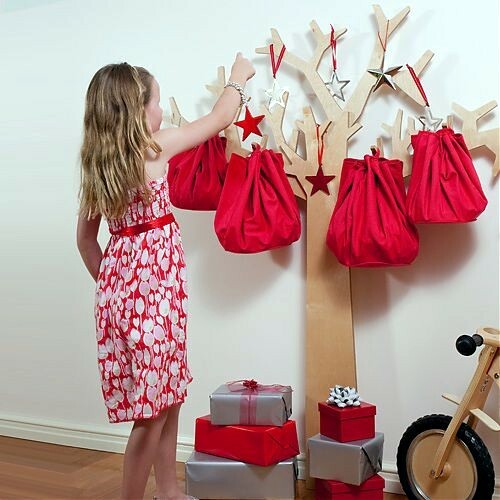 The Fruut Storage Tree (above) can double as the tree feature, as well as attractively bundling all those presents up for each child in a neat package. We bet you can’t think of many Christmas trees you can use all year round! 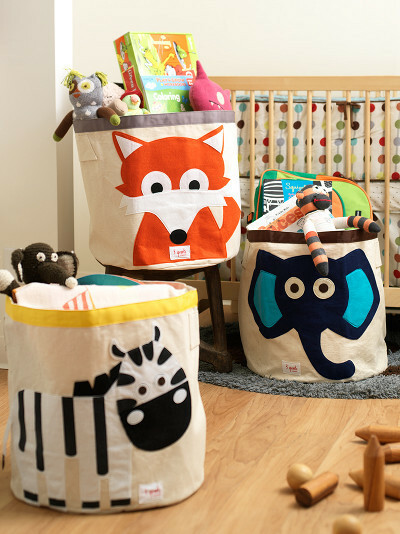 It’s $295 from Eco Toys and you can buy the Fruut sacks separately in small, medium and large sizes. 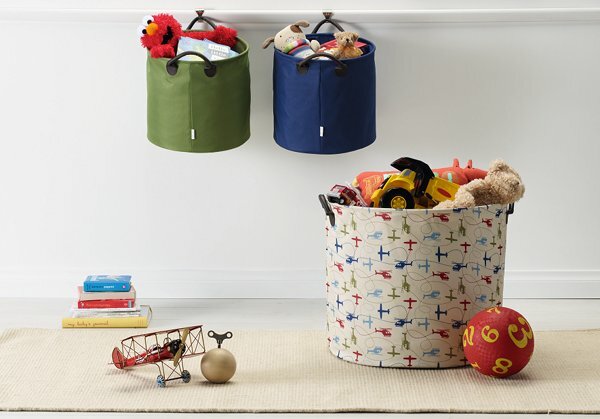 Brand new to the Australian market is 3 Sprouts and we’re adoring the cute storage tubs for holding all those messy toys. Boutique Brands has just received its first shipment in time for the Christmas crowd and we think they make brilliant gifts for the kids – get them to open it first, then as they unwrap each gift, they can pop it straight into the tub. No Christmas mayhem! They’re $42.95 each from Boutique Brands. 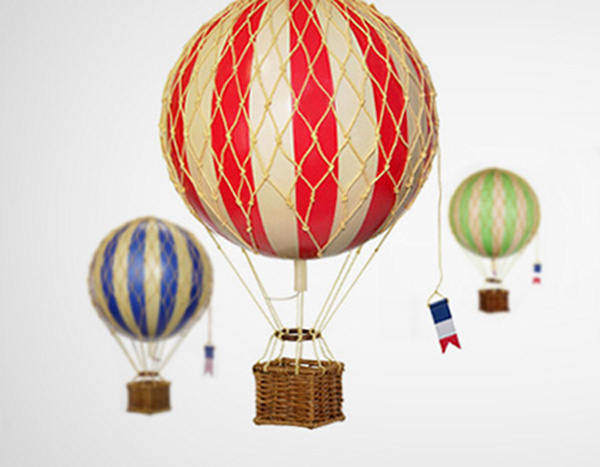 Here’s something completely unique – decorating with hot air balloons! These sweet replica models can be hung anywhere you choose and jazzed up with Christmas tinsel or hung as a Christmas day surprise in your child’s room. They’re available in red, blue, green and rainbow (and there’s even a mobile version for baby!) at $55 each, from Owls & Apples. More amazing storage, this time from mor-stor with the Cooper Storage Tub. Here’s the Heliplanes model ($49.95), but also worth a look are the other prints and plain versions. There’s a free gift with every order this Christmas too! 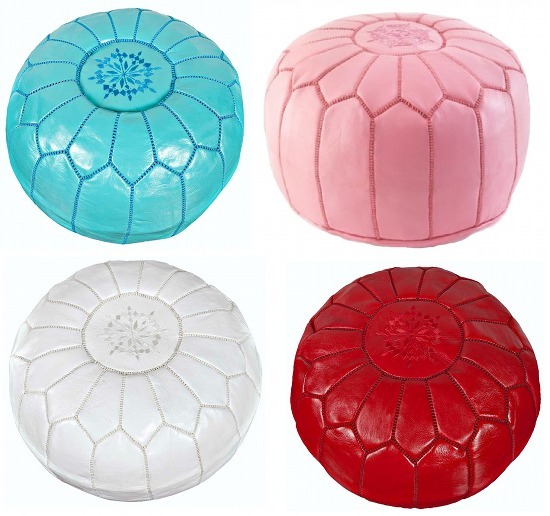 Get a little comfy this festive season; put your feet up for a while, and have a handy perch for the kids with this stunning Mykela Rose Moroccan Pouffe at Minibots. It’ll be the item that polishes the decor in that freshly decorated room and a family home staple for years to come. Choose from turquoise, white, pink and tomato – they’re $295 each from Minibots. 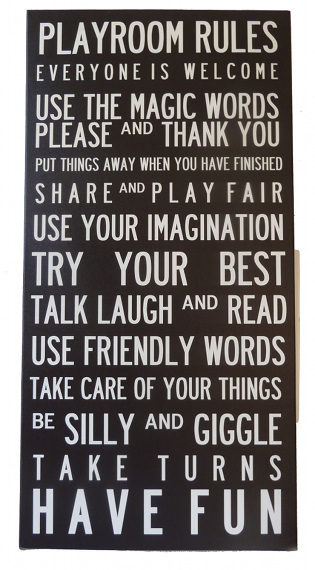 Perk up the playroom walls with this cool vintage-style Playroom Rules Canvas from Monkey Caboose. A great shared gift if you have a stack of kids to control and a home to keep calm and orderly. It’s $69 and available in blue, pink and black – make sure you place an order in plenty of time as these are made to order and take two weeks to arrive. 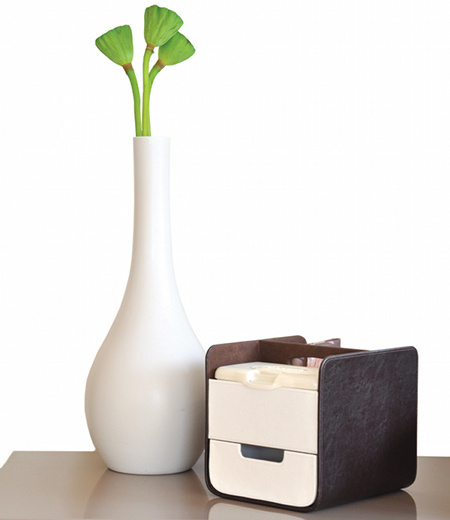 Now here’s a way to invite elegance and style to a most unstylish event in a parent’s day; it’s the Nappy Caddy by b.box and new parents will welcome the looks and functionality it brings to their home while they learn the ropes of babycare. We think it’s such a great decor item (as it travels around the house with you) with uses far beyond babyhood, and a great gift to boot. Expect to pay about $59.95 and check the stockists page for where to buy in your state. This pretty Petit Collage Bamboo Mobile Deluxe is something I would put anywhere in my home at any stage of my life, but what a magnificent gift for a family with a recently-arrived baby! 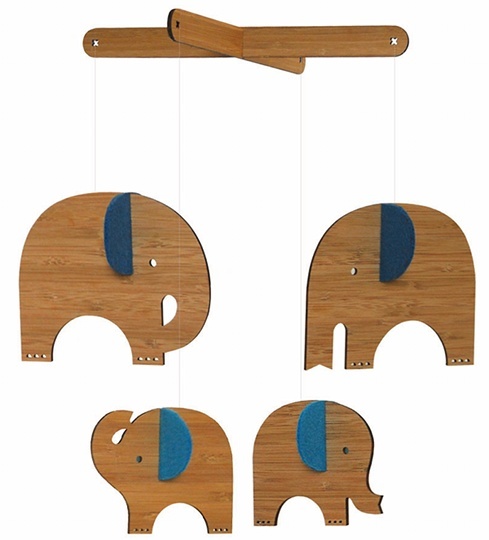 There is the elephant version in a choice of blue or red and also sweet birdies in blue or red ($74.95), plus a host of bamboo-only styles at Sustainababy. Look at this delicious four-pack of Scrabble Cushions – they sure do enhance the feeling of home and will be the ‘It gift’ for home decor fans. They’re $160 for the set from The Gift Corner and are also available in LOVE. Babies and children just love to look at their own reflections so get some of these super-safe shatterproof mirrors at Scoops Design. 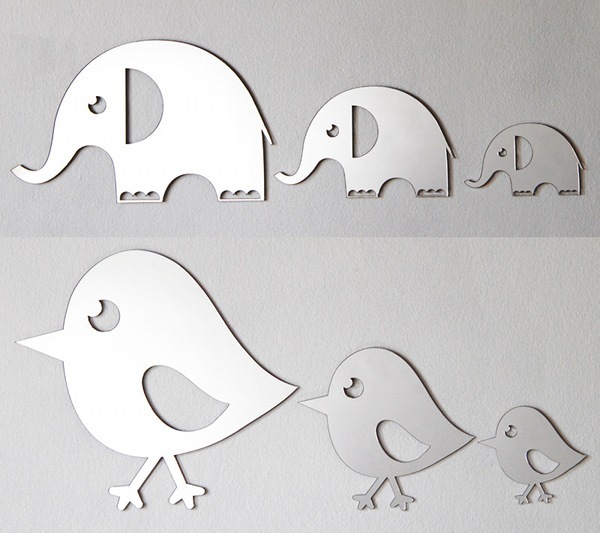 Look at the versions available (elephant, sausage dog, bird and whale) and choose a critter to suit your home. They come in a trio for $60 and won’t damage your walls; from Scoops Design.